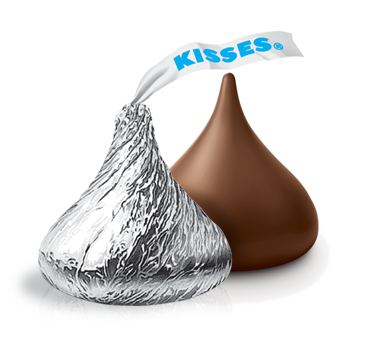 When you look at a Hershey chocolate kiss you will see that it is pointy on top but round and full on the bottom. On the one hand the pointy part is indeed "on top", but the round bottom part is where most of the chocolate is found. If you only eat the top part you would be not be satisfied. This made me think of our approach to Krav Maga, the aspects that differentiate us from other styles. Most fighting styles focus on the point on top, the elite, the top percentile of athletes, those who can win championships and come home with large trophies. Many instructors have openly told me that they are only interested in the "Champions", and the rest of the students are useful for paying bills and covering expenses. After all there are not enough top athletes to pay the bills, let alone turn a profit. But the way we look at it at IKI is that most of the population are at the bottom and the middle, just like the chocolate kiss. They may not stand out, they may not rise to the top, you may not notice them in the crowd but they are the base, and they matter. They matter to us. And we will teach them. Abraham Lincoln once said that God must love homely people, because He created so many of them. Well He must also love ordinary, non-champions, because that is mostly what He created. And if they are important to Him they are important to me. So send us your out of shape kids, send us your elderly, send us your average people struggling to be free of excess weight, send us your attention challenged people, send us your less than perfect people for our style is designed for them. And the perfect ones, the top athletes will love our style as well. Send us the center, the core, and the bottom of the chocolate kiss. Here they are welcome. Only teaching the top percentile will not satisfy us. We aim for the bottom and the middle.